Guinness Blonde American Lager: Can a lighter beer turn around U.S. sales? The classic dark beer is going blonde. Guinness, the stalwart of dark Irish stouts, is trying out a new look in America. Starting in September, Guinness will introduce Blonde American Lager, a lighter beer geared to the Bud- and Miller-loving palates of U.S. consumers. True to its name, the blonde will be made in America—produced by City Brewing in Latrobe, Pennsylvania, according to a report in Businessweek. Lager is by far the most popular type of beer in America, and introducing a blonde variety might help Guinness regain some of the $100 billion U.S. beer market. Volume sales of Guinness in North America declined 6 percent in the latest fiscal year, according to Businessweek, and fell 2 percent the year before that. Data estimates from Beer Marketer’s Insights show that Guinness’ U.S. market share has decreased steadily since 2006. As of 2013, it ranked ninth in a list of major brewers and importers in the U.S., dwarfed by Anheuser-Busch and MillerCoors and trailing Pabst, Boston Beer, and Yuengling. Guinness Blonde Lager will be the first of a set of new beers that Diageo is calling the “Discovery Series,” Ad Age reported last week. In rolling those out, Guinness will benefit from its widespread distribution network. “If you’re a large brewer you can drop a brand based on your established distribution network in a way that is very powerful and populate the supply chain very quickly,” says Julia Herz, craft beer program director at the Brewers Association. Diageo beer business director Doug Campbell told Ad Age that Guinness Blonde Lager will be hoppy but not too hoppy, with a slight “biscuity” flavor and a light golden hue. 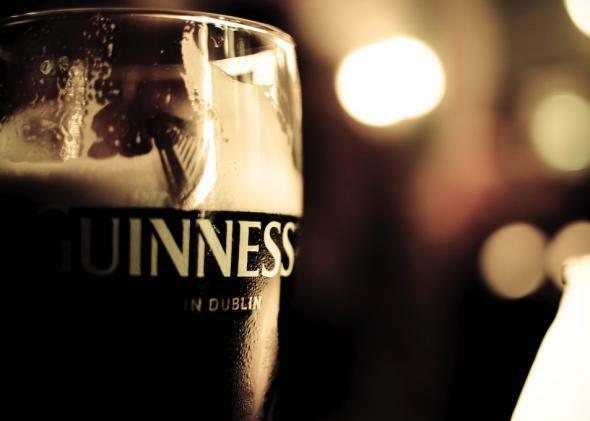 According to Businessweek, it’s not Guinness’ first shot at rolling out a lighter brew. In 1988 it debuted a lager called Guinness Gold that lasted about five years before being discontinued out of fear that it was undermining the brand’s “rich, black” identity.